We just got back from the Lego Movie (we all loved it, have you seen it? ), the sun is shining and for the first time in weeks there's no rain. Not only that but there's some time to squeeze in an hour of quiet knitting and blogging while everyone else is occupied. It's a good day. After several hours planning a different design yesterday (I didn't want to do maths, just to knit, but got sidetracked in calculations and the joy was sucked out of it) I've cast on something else entirely and I'm making it up as I go along. No detailed planning, just knitting with a vague notion of what it will become. The yarn - Rico Creative Reflection - is fun, a bit of sparkle is sometimes exactly what's needed. You may have spotted the other project I re-discovered this week. 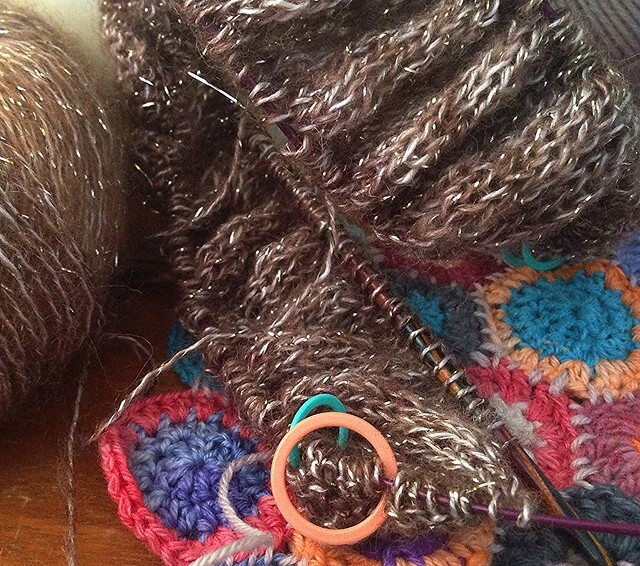 I started these little shabby crochet circles last year and it's time they got some attention. 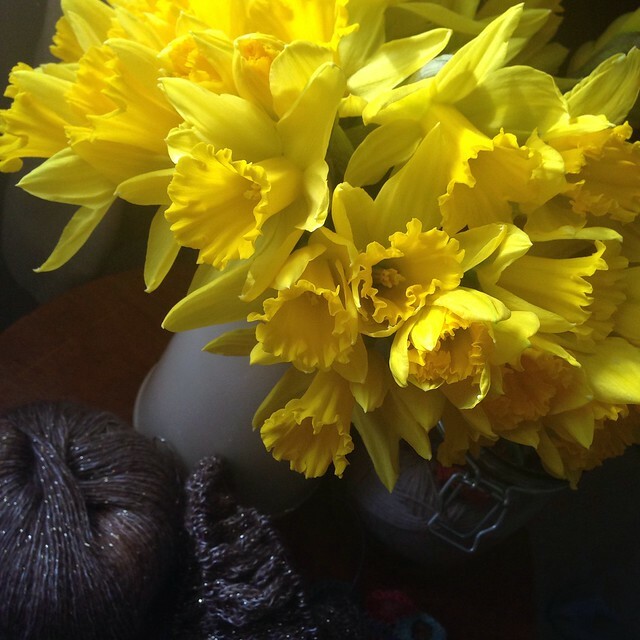 While photographing these, I got sidetracked again... by daffodils. I'm not sure if I love them because they are the first splash of colour in the house after the long dark days of Winter, or whether it's because their bright frilly flutes are so attractive. Either way they are happy-inducing. I hope you're having a lovely day filled with sunshine and colour, or whatever else puts a smile on your face. I'll be back tomorrow to show you what I made from that hideous neon yarn - it turned out to be something Little Miss absolutely loves.